It probably hasn’t escaped your notice that Valentine’s Day is right around the corner. Maybe you’ll celebrate with dinner, flowers, a stuffed animal, or all of the above. If you’re like us, your Valentine’s Day will also include plenty of chocolate. I hope you and your sweetie indulge to your heart’s content, but let’s chat about keeping your pets safe with extra chocolate in the house. You’ve probably heard that chocolate is bad for your pets, but you may not know exactly why. 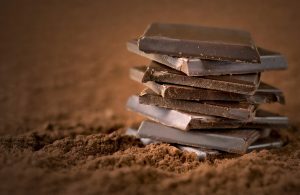 Knowing the actual mechanics behind why chocolate is dangerous for your pets will make sure you know what to look out for and, in some cases, ease your worries if your dog has ingested it. 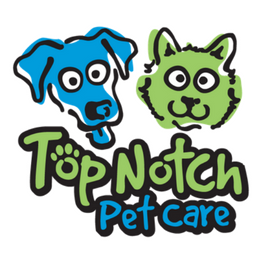 Top Notch Tip: Always err on the side of caution and call your vet right away if you think your dog or cat has ingested chocolate. The ingredients found in chocolate are more dangerous than the actual chocolate. Theobromine is commonly found in cocoa beans and, consequently, in chocolate. It’s essentially a diuretic stimulant with relaxing effects. Unusually contradicting, isn’t it? Humans can metabolize theobromine and caffeine fairly easily, but in dogs and cats, theobromine can easily reach toxic levels. Not all types of chocolate are as dangerous for dogs and cats as you may think. White chocolate contains very low levels of theobromine so is less dangerous … but that doesn’t mean you should run out and buy some for your dog or cat this Valentine’s Day. Pass out their usual treats instead. If your dog or cat gets into milk chocolate, mild toxicity may occur, but it takes roughly 0.7 ounces per pound of your pet’s body weight to cause a reaction or about 1 lb. of chocolate per every 20 lb. of your pet. What does that actually mean? If your Mastiff eats a dozen milk chocolate chips, the chances of toxicity are relatively low, but if your puppy or kitten does, the chances of toxicity are greatly increased. Top Notch Tip: Try this Chocolate Toxicity Meter to better understand the chocolate to weight ratio. From bad to worse, these are the forms of chocolate that should be of concern if your pet ingests it. We recommended you seek veterinary care immediately. If your pooch tends to steal food from the counters, take extra care to put boxes of chocolate in a closed cabinet or on top of the fridge. Make sure the lid on your trash can is secure or take the trash out after your candlelit dinner. This way, you can be sure your pup doesn’t help himself to a late night snack. If your pet is showing any of these signs your vet may administer a (disgusting) substance called ‘activated charcoal’ that will bond to the toxins in her stomach toxins before forcing her to vomit. Now that you know more about the dangers of chocolates and your pets, we know that you can enjoy this Valentine’s Day – and all of the chocolate you can eat – with your loved ones. Just make sure to keep it out of paw’s reach.